It may be that you don’t get the time to see and speak to all the exhibitors (The Eclectic Wedding Extravaganza has 80 of them!) 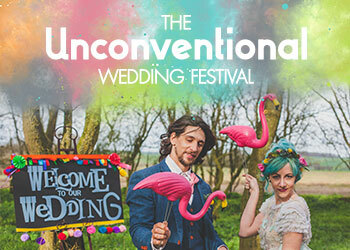 so it’s a good idea to do some research before you go (The Eclectic Wedding Extravaganza has all the exhibitors listed on their website and a private Facebook group you can join to keep up to date with everything that’s going on beforehand). On the day, try and go see the suppliers you’re most drawn to first. Also check out if there are any demos, workshops or catwalk shows that may be taking place. You may not have time to attend them all, so work out beforehand which ones are most relevant to you and arrive a few minutes before start to guarantee that you and your best babes get a seat. The Eclectic Wedding Extravaganza is famous for its fantastic Sheep Hunt competition, where most exhibitors bring along a fabulously decorated sheep! To take part all you have to do is find out each sheep’s name (by asking the exhibitors themselves, or checking out the stand for clues) and hand the form in at reception before you leave. Is prize winner is picked at random and some people have won multiple incredible prizes. 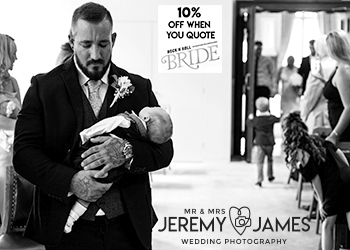 In past years people have won free weeding photography, massive discounts on a bespoke dresses, vouchers galore and even free wedding cakes! It’s absolutely worth taking part and entering everything. 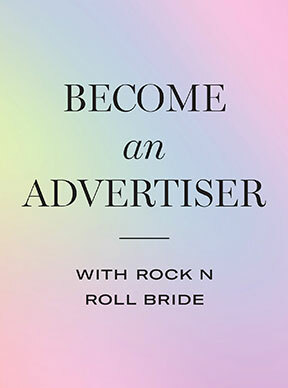 Tickets for The Eclectic Wedding Extravaganza cost £12 on the door but are £10 if you buy them online in advance, PLUS Rock n Roll Bride readers can get an additional 25% off if they use the code ROCKEWE at the checkout (kids get in free). Here’s a nifty little direct link that applies the discount for you so you don’t even need to remember the code! THE very best thing about The Eclectic Wedding Extravaganza is how inclusive, friendly and fun it is. All of the exhibitors are wonderfully passionate humans who don’t believe in the hard sell or trying to shame you into making purchases! We’ve all heard horror stories about shows with diet products in goodie bags, teeth whitening and plastic surgery stands (nothing wrong with either of those things but do they really need to be promoted at a wedding show!?) and pushy sale people trying to force you into making a decision then and there! THERE IS NONE OF THIS AT The Eclectic Wedding Extravaganza which is why it is our home. I can not wait to see you there.